The first Dualminer USB ASIC devices that can simultaneously mine Litecoins (LTC) and Bitcoins (BTC) and alternative crypto currencies based on scrypt and SHA-256 that we’ve already mentioned here have started appearing on eBay. These devices based on a single Gridchip GC3355 processor chip from Gridseed are rated as capable of: 500MH/s SHA-256 and 40KH/s Scrypt when operating for mining both, or 1.6GH/s when mining only BTC or 70KH/s when mining only LTC. Again, price wise these are not very interesting products, unless you want to be able to try the Gridseed chips and see how well they can perform. What would be more interesting are multiple-chip devices that offer significantly higher performance, but the good thing is that things are finally happening for Gridseed and we are actually seeing devices based on their innovative dual mining SHA-256 and Scrypt at the same time Gridchip GC3355 chips. The DualMiner USB is one of the first ASIC based USB miner for both SHA-256 and Scrypt that is based on a single Gridchip’s GC3355 processor chip. It can be setup to mine Litecoin only, or Bitcoin and Litecoin simultaneously. The hash performance is apparently bounded by USB 2.0 specification of maximum 2.5W power consumption for a device and thus instead of of 1.6GH/s Bitcoin mining speed you get only 500 MH/s and instead of 60 KH/s Litecoin speed only 40 KH/s in dual mining mode for BTC and LTC. If the operates only in LTC mining mode it will operate at 70KH/s or a little over the default chip specs thanks to the lower power consumption for LTC scrypt mining only. 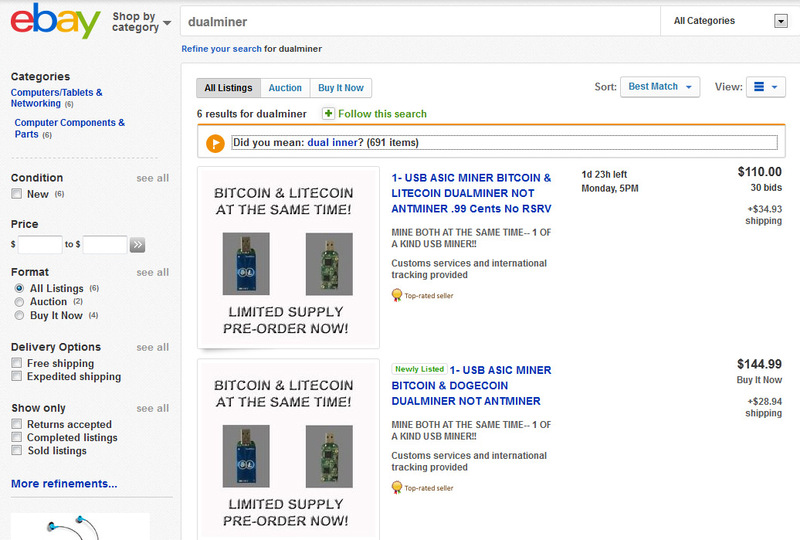 The price of a single DualMiner USB ASIC is $98 USD at the moment, however the specs of the device don’t make it that interesting for a single unit. 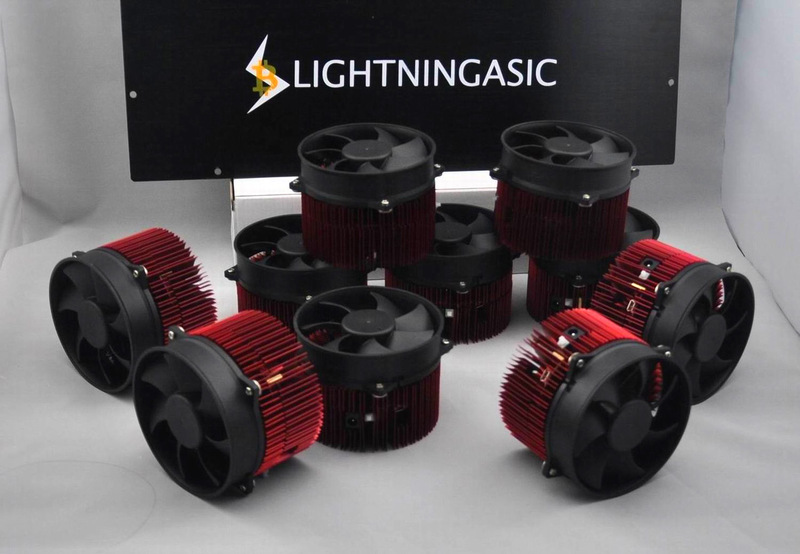 A company called Lightningasic has announced a Bitcoin and Litecoin ASIC mining system based on multiple Gridchip GC3355 processor chips capable of mining BTC and LTC at the same time. Unlike the single chip USB devices these systems use multiple chips and provide higher hashrate – 300KH/s for scrypt plus 10GH/s for SHA256 working together with 60W power consumption. Only mining scrypt gets you 8W and for only SHA256 the power consumption is 52W. This looks more promising in terms of hashrate available, but for these devices to be really interesting we are going to need more chips together on a board and these are probably not going to be late to follow.